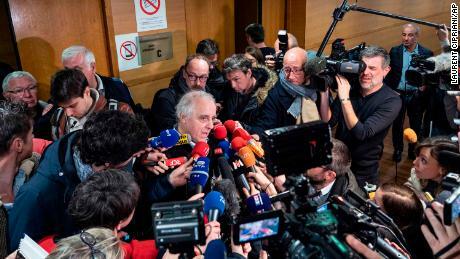 Cardinal Philippe Barbarin, the archbishop of Lyon and one of France’s most senior religious figures, was sentenced to a six-month suspended prison sentence for failing to report between July 2014 and June 2015 the sexual abuse allegations made against a priest from his diocese, Bernard Preynat, in the 1980s and 1990s. Preynat is due to go on trial later this year. Vincent Neymon, deputy Secretary General of the Bishop’s conférence of France (CEF), told CNN that “Cardinal Barbarin has announced that he will present his resignation to the Pope” following the ruling. 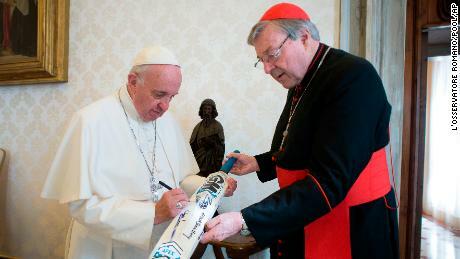 The Pope must nevertheless accept his resignation for it to take effect. Neymon said Barbarin had not specified whether he would resign as Archbishop or Cardinal, but suspected that it would be the former. Barbarin, who is the most high-profile figure to be caught up in the sexual abuse scandal that has gripped the French Catholic church, was on trial alongside five other aides, who were all found not guilty due to a lack of evidence, or the historic nature of the allegations. He noted that such a prominent individual had never been prosecuted for these crimes in France, and hailed the “pugnacity” of the victims. Marie-Pierre Colombel, president of Enfance et Partage — an organization which has supported Preynat’s alleged victims — also told CNN that the outcome was “very important” but called on individuals to report all cases of abuse. Barbarin will not face any time behind bars due to the suspended nature of his sentence. The CEF announced in a statement following the verdict that they would not comment on the outcome, but noted that Barbarin has a right to appeal like all French citizens. “The CEF reaffirms its commitment to fight with determination against sexual abuse committed by clerics against minors,” the body added. The result of the trial, which has been running since January, has been long-awaited in France, after Barbarin was first investigated by prosecutors in 2015 after one of Preynat’s victims went public with his allegations of sexual abuse. Barbarin faced a six-month probe into his involvement in covering up the allegations, but the investigation was later dropped due to the statute of limitations and a lack of evidence. Nine adult plaintiffs — former boy scouts who claim to have been abused by Preynat — nevertheless took legal action and succeeded in getting the case reopened. Barbarin was subsequently charged in 2017. Prosecutors originally declined to press charges due to the statute of limitations, as the case related to allegations of abuse prior to 1991. The trial nevertheless went ahead, as plaintiffs are permitted to bypass the prosecutor’s position under French law. Barbarin has maintained his innocence throughout the trial, claiming that he “never tried to hide, let alone cover up these horrible facts.” “I cannot see what I am guilty of,” he told the court on January 7. He has claimed that he only knew about the full extent of the allegations against Preynat in 2014, following a conversation with one of the victims. He only subsequently removed Preynat from his post in 2015 when the scandal became public. Victims nevertheless accused Barbarin during the trial of being aware of the abuse allegations from as early as 2010. They also condemned him for taking months to remove Preynat from his post in response to an alleged request from the Vatican to avoid a public scandal. The Vatican has been contacted by CNN for comment. Barbara Wojazer and Saskya Vandoorne reported from Paris. Delia Gallagher reported from Rome and Matthew Robinson wrote in London.